Glasgow Warriors have completed the signing of DTH van der Merwe, who has re-joined the PRO14 side with immediate effect from Newcastle. The Canada international wing has signed a deal at Scotstoun until May 2020. The club’s all-time leading try scorer spent six seasons with the Warriors from 2009 until 2015, before moving to the Scarlets and most recently Newcastle Falcons. During his previous spell at the club, Van der Merwe scored 43 tries in 96 appearances and in his final game scored a try in the win over Munster in the PRO12 Final in Belfast. A PRO12 title-winner with both Glasgow and the Scarlets, the 31-year-old scored 19 tries in 41 appearances during his two-year spell with the Scarlets, the last of which came against Munster in the 2017 PRO12 Final in Dublin, when he lifted the trophy for the second time in his career. Van der Merwe, who was born in South Africa before moving to Canada with his family as a teenager, has scored 32 tries in 51 Tests for his country and has played in three Rugby World Cups. He is Canada’s all-time leading try scorer. 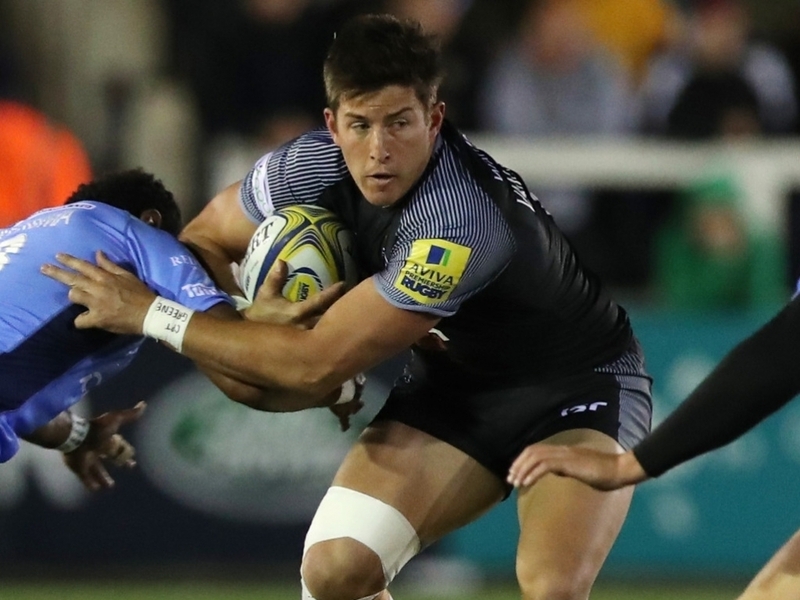 He scored against Bath on his debut for Newcastle Falcons last September and after three appearances for the Premiership side, Van der Merwe now returns to Glasgow to link up with Dave Rennie’s squad for the rest of this campaign and for a further two seasons. Speaking to glasgowwarriors.org, Van der Merwe said: “I’ve been away for three years and this is like a second home to me. My first child was born here and Glasgow will always be special to me and I’m massively excited to be back. Niko (Matawalu) and Ruaridh (Jackson) have also come back this season and it speaks volumes about the club that players want to come back here. “I thought a lot about leaving Glasgow on 96 games, that was always in the back of my mind. I just didn’t quite get to 100, but now I’ve got that opportunity. “You hear a lot of good things about Dave (Rennie). I was lucky enough to work with him when I was on tour with Canada a few years ago. He came in and did a couple of weeks of training and some of the things I learnt from him and some of the things he said made a lot of sense. The success he had at the Chiefs is well-known and he has a very good reputation, so I’m looking forward to working with him and the other coaches. Glasgow Warriors head coach Rennie added: “I’ve seen DTH play a lot of footy over a number of years for Canada and I had a chance to spend a couple of weeks with them on their Autumn Tour and I was really impressed with DTH, not just with his skills but with his manner. He’s a good man and will fit in well here. “He’s a real quality finisher and obviously he’s been a massive performer with Glasgow in the past and he moved to the Scarlets where they had success pretty quickly as well and he was a big part of that success at both clubs. “I know he loved his time here and I had a good talk with him about it. I think he can slot back in here with Gill and the kids and they have a lot of good mates who are still at the club.